The figure used for this unit is a Heroclix figure from the TEENAGE MUTANT NINJA TURTLES: HEROES IN A HALF SHELL set. Its model number and name are #018 / Shredder. Character Bio - Oroku Saki was a high ranking member of the Foot Clan in feudal Japan. He had Hamato Yoshi, Yoshi's wife Tang Shen, and their four sons executed when Oroku Saki took over the Foot Clan. A mystical woman named Kitsune cast a spell to make Oroku Saki an immortal. When Oroku Saki died, he was laid to rest with ooze stolen from Krang and was resurrected in modern times by Kitsune and Oroku Karai. During his time in stasis, his spirit conquered the realm of the afterlife, where he learned he was destined to rule the earth. Now, he is known as Shredder. As a figure with a secret identity, Shredder has these Secret Identity Synergies. As a Human, Shredder has these Human Synergies. As a Ninja, Shredder has these Ninja Synergies. 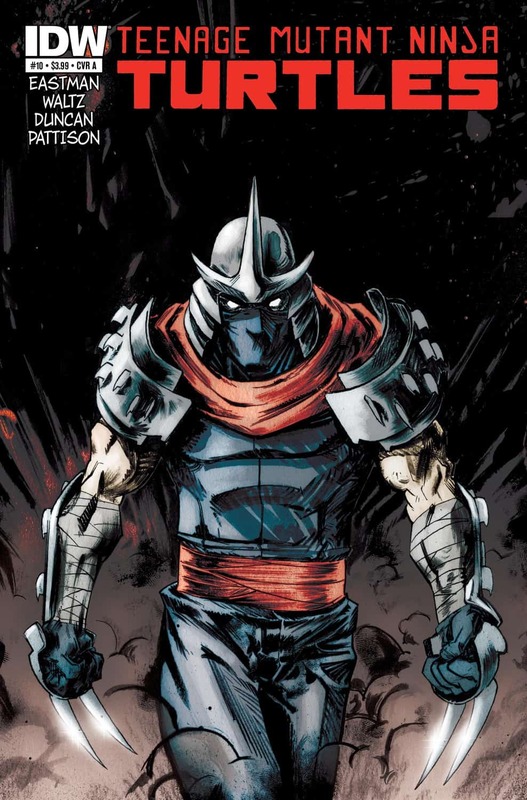 As a figure with a secret identity, Shredder interacts differently with these special powers. As a Human, Shredder interacts differently with these special powers. Shredder's Antagonizing Presence special power does not affect Wise figures. Last edited by Ronin; December 24th, 2018 at 07:19 PM. Last edited by quozl; September 22nd, 2017 at 01:49 PM. Dig the direction. I suspect he may come in a little lower than 250, since he's helping enemies a lot of the time. Yeah now that we have seen how that type of power works in play via Ares, we may want to make an adjustment there. Otherwise looking good to me. Really cool design. Looks like fun. My only concern would be that 6 life, 5 defense, Ruthless Counter Strike seems pretty scary. But we can see how that does in testing. Yeah but no defensive power and adjacent figures get 1 extra attack die vs. him. Last edited by Tornado; June 18th, 2017 at 03:22 PM. I like the design here, very "iconic" feeling. Base stats may need tweaking after some testing but I'm happy with it. Last edited by quozl; June 19th, 2017 at 01:51 PM. Looks like we just need to nail down the cost. I propose we move to Initial Playtesting. @dok , @Dysole , @Soundwarp SG-1 , any thoughts/concerns for this one? Last edited by quozl; June 20th, 2017 at 11:05 AM.